Business education is a very broad spectrum that encompasses a number of methods and principles which shape the career of students as per the needs of corporate world. Business education not only provides the necessary approach and strategies which should be implemented in order to carry out business or job in a successful fashion, but it also helps in crafting personality of students on the basis of ethics, moral values, and skillsets. Since the initiation of industrial era in this world, system of business education has been adapting and revolutionizing as per trends in global market. Earlier, in the period of 1950, business education was based on the functionalities and principles of the business. Today, business management has been considered to be one of the blooming fields for the students. The field of business education and management is directly related to the boom of industrial segments. Leaping in to past, one can see that initially, there were trade markets and many small-scale shops existed. Artisans, craftsman and workers worked very hard to produce quality product and those goods were exchanged with each other in these markets. Slowly and steadily industries begun to grew in western world. With the rise of industries in 19th century, there was an urgent need, taking in to consideration, the management aspect of these industries. This era can also be stated to be a shift from small scale outlets run by artisans with a focus on quality and build to large scale outlets and factories with a focus on quantity, profits and monetization. Due to this industrial revolution, there was a need to carry out management functions in order to ensure effective, efficient and proper operation of businesses. The rise of management began with owners of enterprises. Initially, these owners carried out management functions by themselves. With the growth of organisation and rising complexions, there was a need of a manager carrying out these activities productively, was evolved. With the rise of management, also started various practices, rules and regulations, processes and methodologies which were being implemented as a part of managing companies and enterprises. There was modernization and standardization of the way the companies work. Hence, the need was developed to introduce formal education in these segments so that every worker and manager implemented the same set of principles and practices in their businesses. All these principles and functionalities were included in business education. This is how business education was evolved. 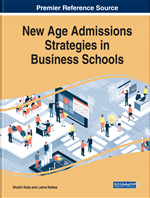 Due to emerging technologies, globalization and shift in market trends, various new practices and principles had been incorporated in business education since then. One major example quoted can be the shift from offline education to online education with the advent of fast and affordable technologies like internet. There are many such changes business education will need to adopt in future. As the world is growing and developing extensively at a faster pace, soon there are going to be new sectors and areas in which there will be an utter need of management for successful emergence of that field. Existing functionalities of management may remain the same, but these emerging fields will require a special focus or specialization (Kelly, 2018). Hence, business educational system will need to incorporate the management studies of these emerging areas. Few emerging fields are elaborated below.